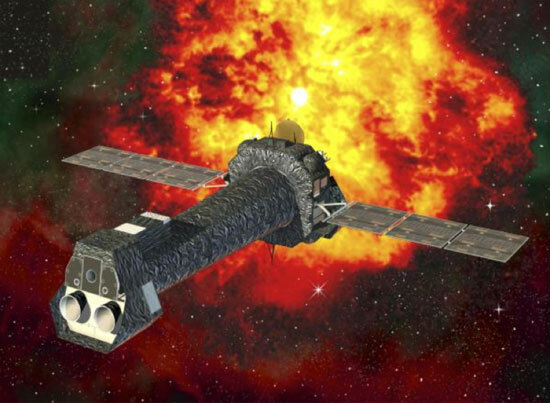 The XMM Newton Satellite carries three telescopes to measure x-rays generated from extremely violent events from distant celestial objects. The XMM Satellite has been placed in a highly eccentric orbit reaching about one third of the distance to the moon, allowing the telescopes and detectors to operate unencumbered from the earth’s atmosphere with unprecedented sensitivity. 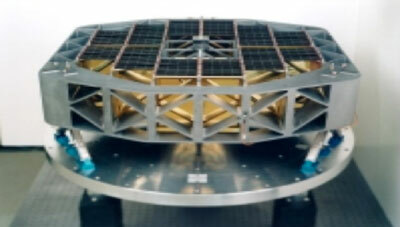 The XMM space borne observatory has been designed as a high through put x-ray spectrometer covering a broad band of energies. 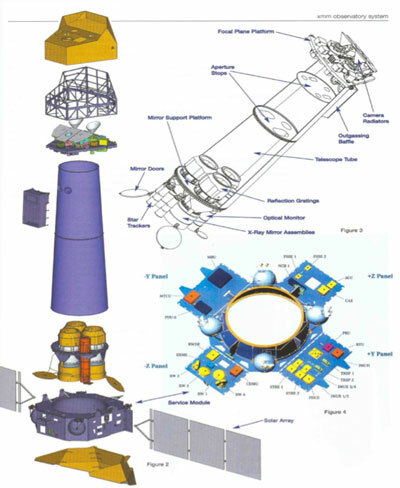 The heart of the payload consists of three telescopes developed under direct ESA contract by a consortium of firms. Each of the firms involved have a particular technical expertise for manufacturing specific parts of the telescope. The optics for each telescope consists of 202 nested grazing incident mirrors, or mirror modules, chosen to maximize the affected collecting area within the volume allocated. Peregrine’s personnel were tasked with assisting in the design, analysis, fabrication and validation of the beryllium structures for the Reflection Grating Assembly. Beryllium is an advanced material which Peregrine has produced many critical structures from. These demanding applications have ranged from inertia guidance systems to primary satellite structures. Man-made materials have yet to surpass beryllium’s specific stiffness, stability and thermal properties. Beryllium is a mature but exotic material. It has proven itself over time to be a reliable and high performance material. This is not to say that producing a product from beryllium is easy, but from the production of the raw materials to a finished product the processes have been defined and flight history exists to base a reliable design. Successful programs that apply their material typically form a strong tie between the analytical team and the product manufacturer. Other properties of beryllium such as high thermal conductivity, moderate CTE, and high heat capacity are additional benefits to the material. Beryllium structures are typically high cost but their high performance and substantial weight savings more than offset the price. Fracture toughness is a consideration when designing in beryllium materials. Beryllium’s fracture toughness (K1c) is 9 ksi per √in compared to aluminum’s 21 ksi √in. When designing with fracture sensitive materials, one must realize that the amount of stress that can be induced into a structure is limited by the flaw size that can be screened for and not necessarily the K1c value or yield strength. 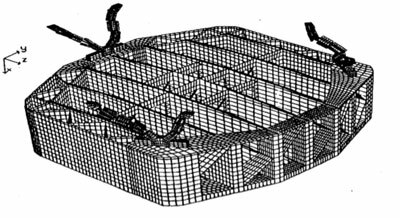 The Integrating Structure is the main structural component of the Reflective Grating Array (RGA). It is a monolithic structure that supports the 202 reflection gratings of the RGA. This structure was required to be lightweight, possess high stiffness, high strength, and long-term dimensional stability. ESA specification states that stress at qualification levels must be less than the ultimate strength. The structure was designed such that the maximum stress is less than the Precision Elastic Limit (PEL) of beryllium. I-250 of 14 ksi. (The factor of safety against ultimate is therefore 9). (Actual PEL measured on the material supplied was over 20 ksi.) This level of 14 ksi also equates to what is allowed by the K1c) value while screening for defects of 0.150” and larger. Random vibration spectrum, PSD (as defined by launch vehicle). Decisions are made early in the design process that will affect the basic approach on how the structure will be produced. These decisions include whether the structure can be machined from a solid chunk of material, or fabricated from a number of components and then joined together either through the processes of bonding, brazing or mechanical attachments. Beryllium is a powdered metallurgy material. This means that the raw material used for the design is produced from small particles of material that have been consolidated back together and then processed either into block form, extrusion and/or sheet. Where beryllium is a mature material and for most small components may be readily available, larger pieces of beryllium are custom made to order and can take a year to receive. The XMM RGA structure was produced from a solid monolithic piece of Beryllium material. A design configuration was established that allowed for the use of wire EDMing as the principle manufacturing process to configure the structure. After EDMing, the structure was precision machined to establish rail and mounting locations within a fraction of an arc second. In addition to EDMing and precision machining, the operations of stress relieving, chemical milling, dye penetrant inspection and finishing operations were also needed. This monolithic approach allowed for the analysis to be more readily performed without the inclusion of joints and or mechanical attachments throughout the structure. Due to the 202 RGA grazing mirrors to be assembled within the structure, this approach allowed for a conservative design and the means to create a long term and stable structure. 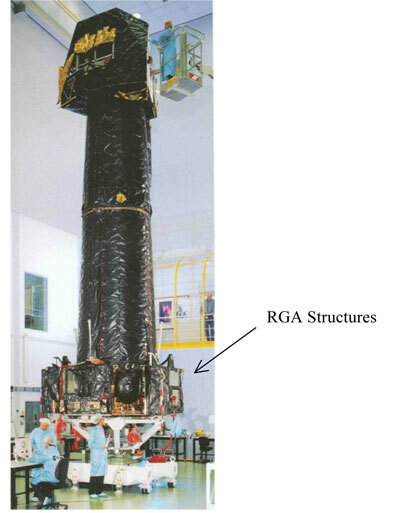 The beryllium RGA integrating structures were successfully produced and assembled into the XMM Newton Satellite. These structures represent the backbone of the Reflection Grating Assembly, providing a stable and precision mounting structure to support the grazing mirrors. The satellite has been placed in orbit, been highly successful and many years of useful life have been achieved. More information on the XMM Newton Project can be found on the European Space Agency’s website at www.esa.int.